Former Minister of Defence, Lt. Gen Theophilus Danjuma (retd) has alleged that there is a conspiracy to rig the 2019 governorship elections in Taraba State and impose another person on the people of the state. Danjuma who spoke in Takum during the commissioning of a medical laboratory block at the Rifkatu Referral Hospital said that there were clandestine moves to cause civil unrest, particularly in Taraba with the hope of making the governorship election inconclusive in order to perfect the change of government. He urged voters to be on the alert and to guard their votes and avoid all forms of provocation before, during and after the elections. “We are in the eve of the election and if we want another four years for our able governor, we must work for peace because those who do not wish us well will want us to fight ourselves; then they will use soldiers and police to destabilise us and rig the election. “It will be in our best interest to ensure there is peace. We should suffer all provocation because there are going to be plenty between now and the time of the election. I beg every one of you to help maintain the peace so we can have a peaceful election. In a swift reaction, the spokesperson of the All Progressives Congress (APC) in Taraba State, Mr Aaron Artimas, said that the allegations by the elder statesman were not only frivolous but equally misleading. Artimas said that “just last week, the PDP orchestrated an unprovoked attack on the campaign train of our candidate in Wukari. This is a clear indication of the fact that they have lost so much popularity in the state and are jittery. So clearly, it is the PDP that is precipitating violence in the state and not the APC. 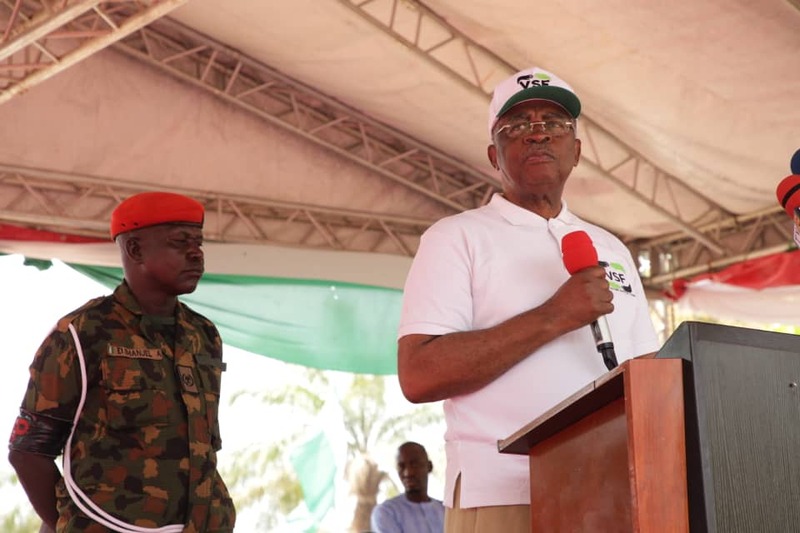 Earlier, Danjuma had commissioned a N1.3 bn Victim Support Fund (VSF) project in Takum where he urged the people to take charge of the project and protect it with their lives.